In today’s retail market, where organic growth is thin on the ground, securing the loyalty of existing customers has never been more important. Retailers must retain their best customers and attract new ones from rivals. Retailers are using loyalty cards more than ever in order to collect information from which they can glean valuable customer insights, as well as provide rewards that hopefully foster long-term loyalty. 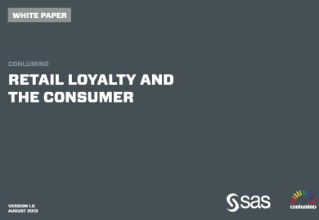 Retail Loyalty and the Consumer is a fascinating report that provides an excellent summary, including helpful statistics, on the state of loyalty programs, what consumers and retailers are thinking, and what seems to be working – and not.